Nobody has got the time to waste on caring for oily hair and scalp. With so many hair woes like hair fall, frizz and stubborn hair that won’t grow any longer, oily scalps should be the least of your concerns! 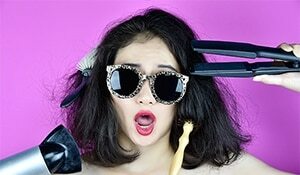 Whether you are one of those who are blessed with naturally oily scalps or not, it is possible you are making your hair greasier by committing common hair crimes. And, considering it is summer already, it’s going to get worse for your tresses if you continue to not bother. It is natural for you to feel the need to wash your oily hair often but over washing clears out the natural oils from scalp which lead to scalps producing more oil to keep the hair from being dry. So by washing your hair, you are only allowing it to get greasier. 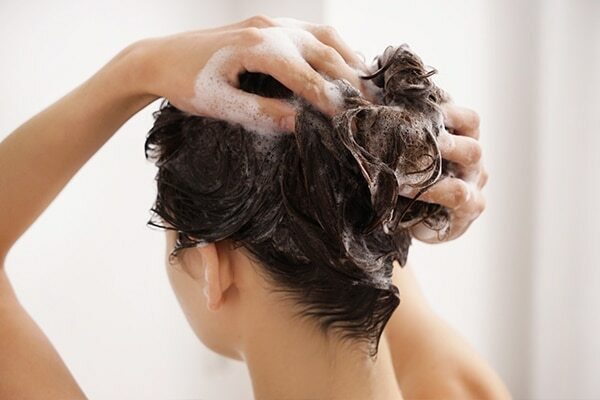 Limit your hair wash sessions to 2-3 times a week. Also, use small amount of conditioner and wash it off completely to avoid product build up. Using styling tools, sprays, gels and dry shampoos all accumulate in the scalp making it icky and itchy. 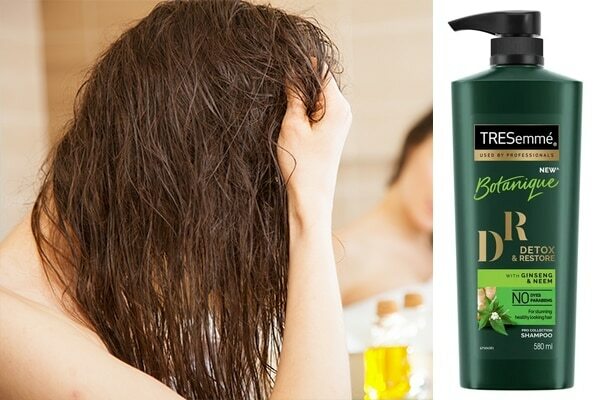 Deep cleanse your scalp with TRESemmé Botanique Detox & Restore Shampoo to detoxify the dirt and grim from roots to avoid oily scalps and hair. Know your hair type and use hair products accordingly. If you already have an oily scalp, don’t go for products that are oil based or formulated for moisturising hair, because you don’t need that. Use lightweight products formulated for oily hair type. 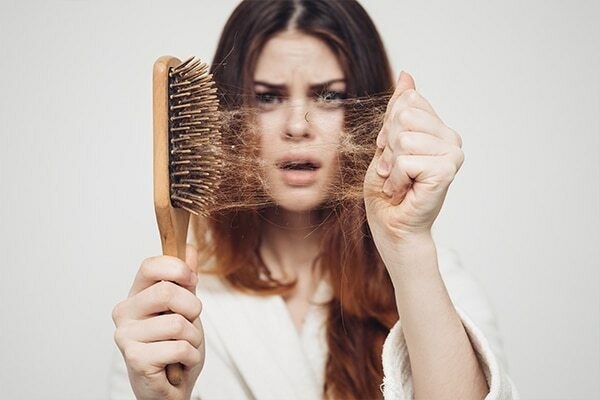 Dirty hair brush clogged with hair, sweat and dirt leads to dirt build up in your hair and as a result, your hair becomes greasier. Clean your brush every week to keep your hair oil and dirt free. Also, don’t over brush as it stimulates oil production. 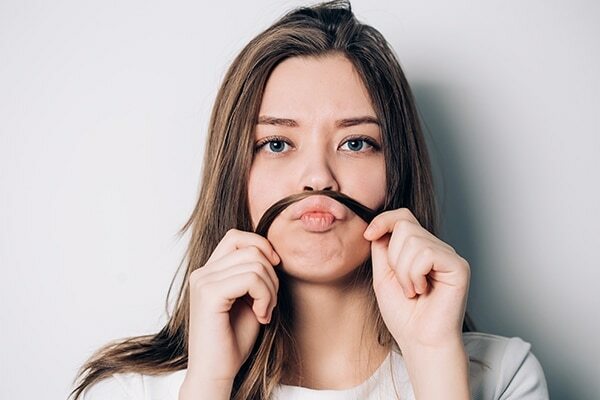 Just like touching your skin can make skin oily and prone to acne, playing with your hair (with dirty hands) can transfer the oil and dirt from your fingers to your hair, leaving it greasier and dirty. Avoid fiddling and always clean your hands before styling your hair.